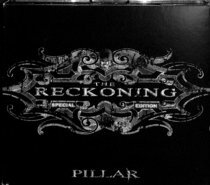 The Reckoning is the fourth album from Christian rock group Pillar. Included on this release are displays of the softer side of Pillar with songs like Angel In Disguise and Wherever the Wind Blows, the pop side Sometimes and the much heavier/screaming side Crossfire and Tragedy. The album debuted at No. 70 on the Billboard 200. About "The Reckoning: Special Edition (Cd/bonus Dvd)"